The Board of Trustees discussed Bond 2017, approved a tax rate that will save millions of dollars in interest, and heard a demographer’s report on middle school attendance areas at its September 15, 2016, Regular meeting. Trustees approved a 2017 Citizens Bond Committee Charter during its September 20, 2016, workshop and now seeks volunteers to serve on the CBC in mid-October through mid-November. 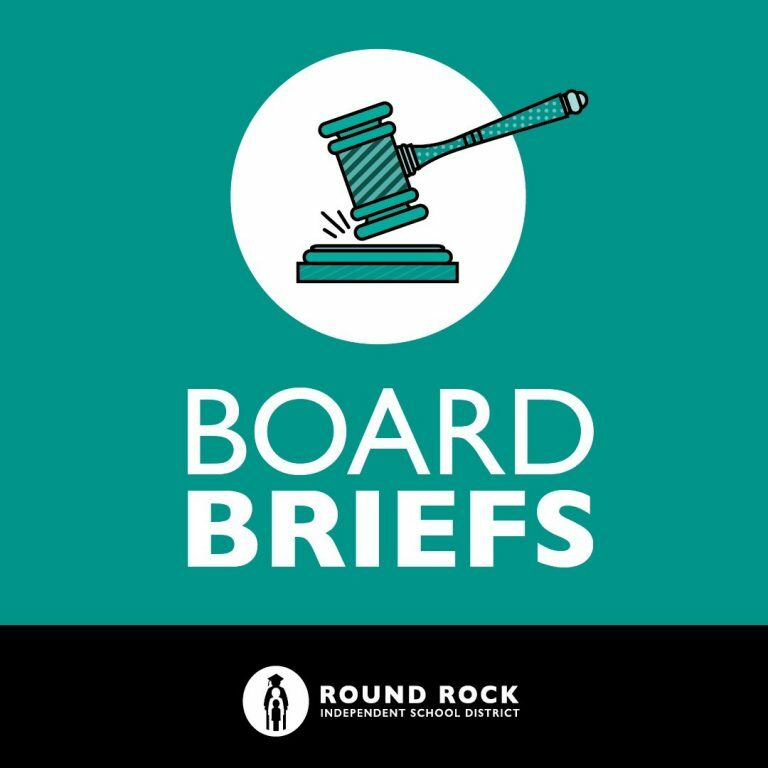 Round Rock ISD will continue its review for middle school attendance area changes considering updates to Cedar Valley, Chisholm Trail, Deerpark, and Walsh middle schools for the 2017-2018 school year. Round Rock ISD will save millions in interest payments while maintaining its current tax rate for the 2016-2017 fiscal year. The Board of Trustees approved a $1.3325 tax rate for the 2016–2017 fiscal year at the regular meeting Thursday night. The approved rate is the same as the previous year and is comprised of $1.04 for general operating and $0.2925 for debt service. The Board of Trustees approved a charter during its September 20, 2016, workshop that allows for the District to form a Citizens Bond Committee, which will include a focus on safety, innovation, growth, and finance. The committees will work with administrative leaders to hear reports and ask questions regarding new facilities, technology, and capital renewal and replacement.